Power on the Kizashi is now boosted to 500 bhp (373 kW) and 420 lb-ft (569 Nm) of torque by means of a turbocharger and other modifications to the 2.4 liter, four-cylinder power plant. Suzuki has an American Bonneville racer version of the Kizashi sedan coming and ready to hit a top speed of 200 mph (322 km/h). 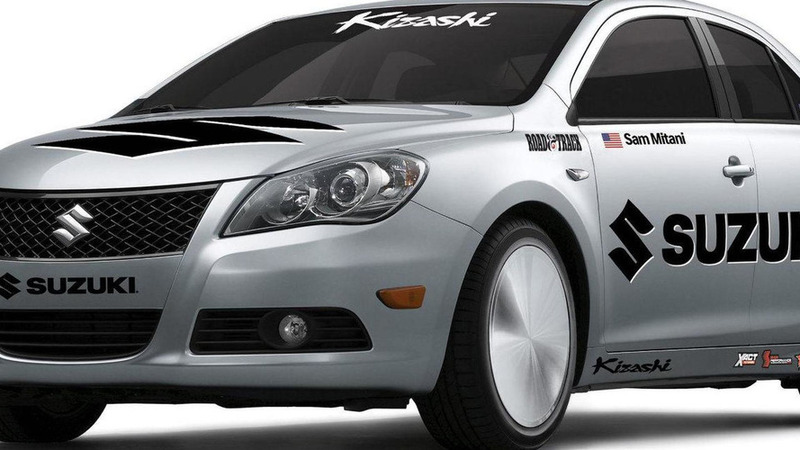 Modifications to the Kizashi were made by Richard Holdener and Tom Habrzyk of Advanced Product Engineering. The addition of a turbocharger to the 2.4 liter, four-cylinder helps makes for a total output now of 500 bhp (373 kW) and 420 lb-ft (569 Nm) of torque. Power is also boosted by means of a new intake manifold, a ‘long tube' header, forged rods and pistons. Also added to the Kizashi were a racing seat and harnesses, window net, aluminum bulkhead at the back and an SCTA-spec roll-cage. The Bonneville Kizashi will debut at the Blown Gas Coupe race in the salt flats of Wendover, Utah on August 14. The car will be driven by Road & Track driver Sam Mitani who will try to take the Kizashi up to that magic 200 mph number.